By now, you’ve likely come across your fair share of smack talk about bread: It causes brain fog! Will give you dementia! Makes you fat! 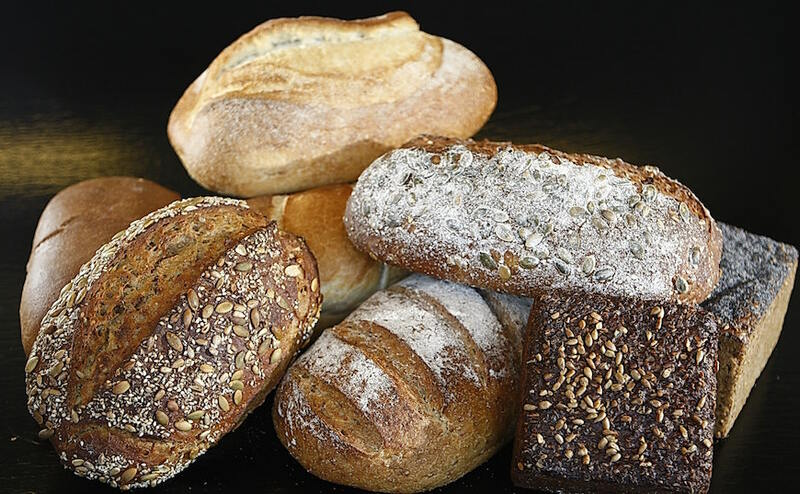 But if you’re of the Mediterranean diet persuasion (or you just love carbs and want another reason to eat them) good news: Bread is absolutely on the menu. Keri Glassman, MS, RD, CDN, co-founder and CEO of The Nutritious Life Studio CEO, agrees—but with a twist. “Personally, I always go for sprouted bread, like Ezekiel bread, because it’s made with whole grains and it has zero sugar,” she says. According to Glassman, sprouted breads are often made with sprouted whole grains or legumes, which up the protein count. These two points, Glassman says, are key when choosing which bread toss in your cart—no matter what eating plan you choose. She says a lot of breads have sugar and additives like hydrogenated oils in them. “You want to save your sugar for something like a chocolate chip cookie you’ve been craving or a piece of fruit, not for bread,” she says. To her other point, going for a whole grain option is going to give you the most nutritional benefits. And the key is making sure the loaf is 100-percent whole grain—not just whole wheat bread. “Some brands say ‘wheat flour.’ That means nothing. All flour is wheat flour,” Glassman says. Look for a brand that has at least three grams of fiber per slice, adds Brissette, to ensure you’re getting the most staying power per serving. Basically, stick to whole grain loaves with real ingredients and your body will recognize that what you’re eating is the best thing since, well, you know. With additional reporting by Jessie Van Amburg. This piece was originally published on July 12, 2018. It was updated on March 29, 2019. If you’re seriously craving some bread now, try this gluten-free prebiotic banana bread or this long-fermented bread.